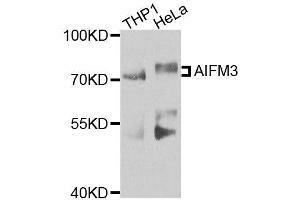 Western blot analysis of extracts of various cell lines, using AIFM3 antibody (ABIN5996156) at 1/1000 dilution. 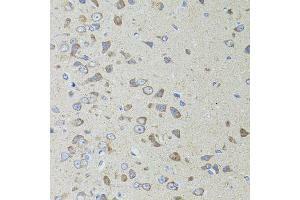 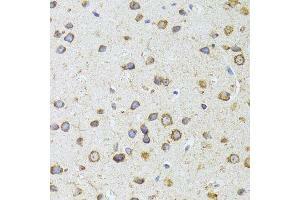 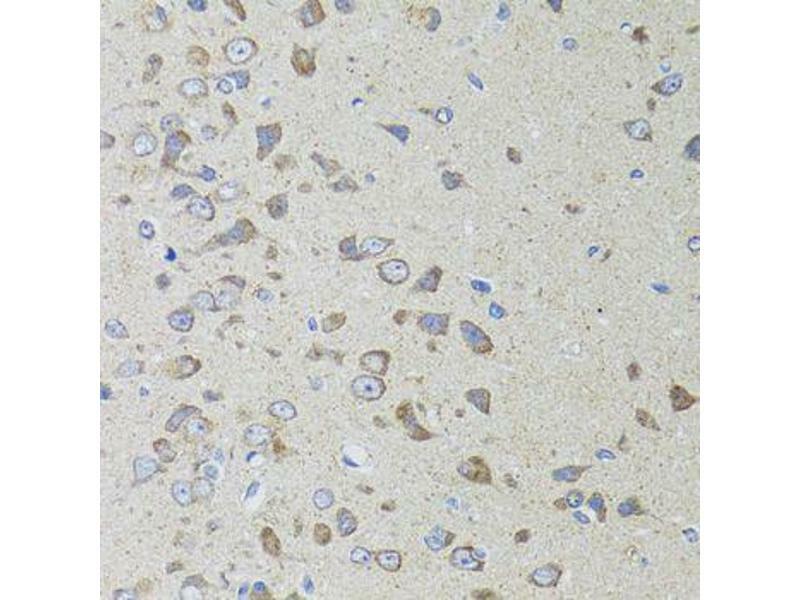 Immunohistochemistry of paraffin-embedded rat brain using AIFM3 antibody (ABIN5996156) at dilution of 1/100 (40x lens). 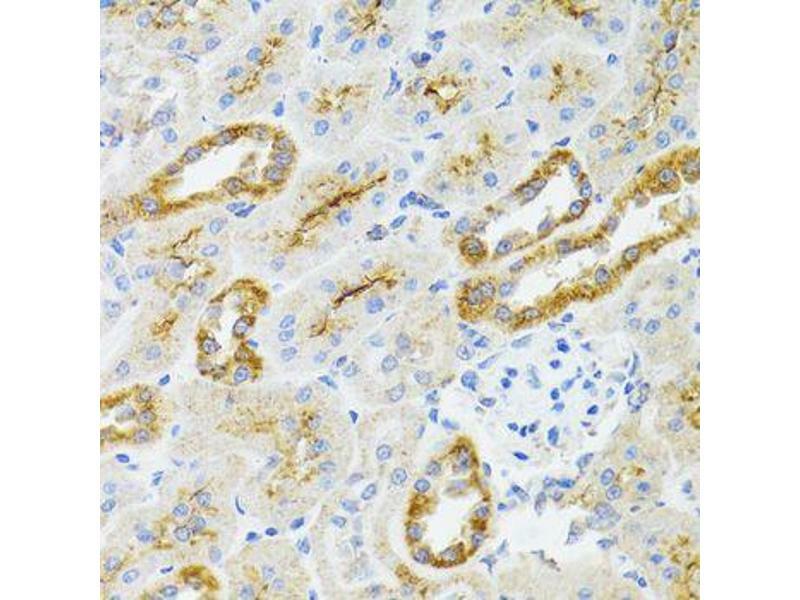 Immunohistochemistry of paraffin-embedded rat kidney using AIFM3 antibody (ABIN5996156) at dilution of 1/100 (40x lens). 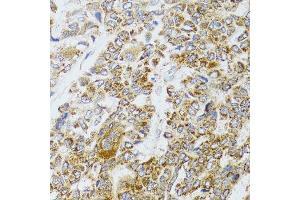 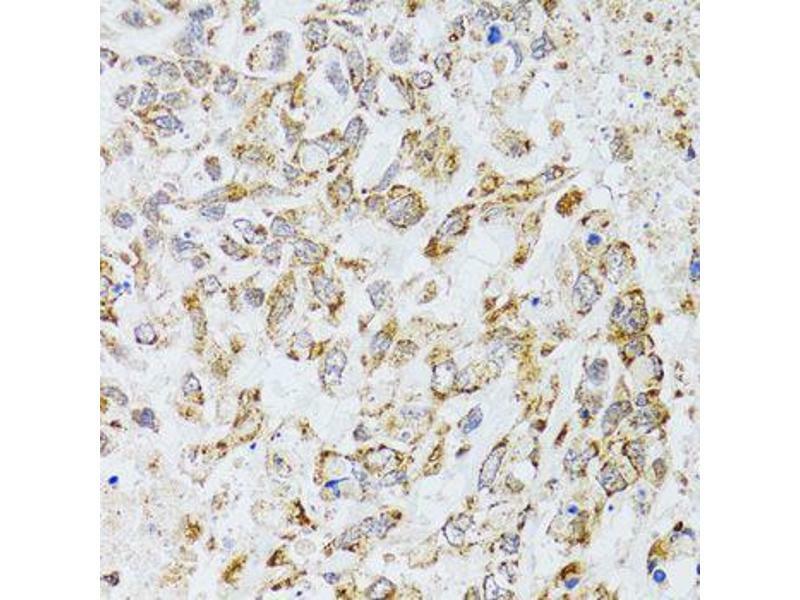 Immunohistochemistry of paraffin-embedded human lung cancer using AIFM3 antibody (ABIN5996156) at dilution of 1/100 (40x lens). 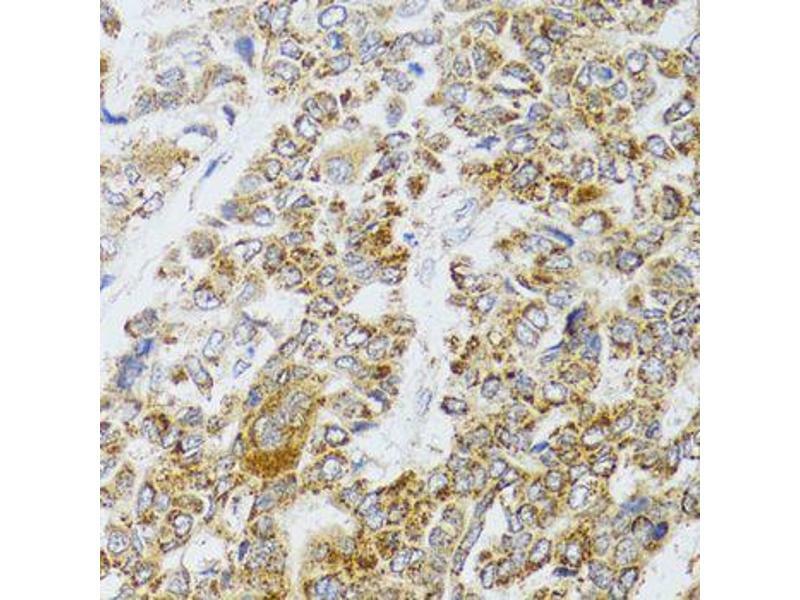 Immunohistochemistry of paraffin-embedded human liver cancer using AIFM3 antibody (ABIN5996156) at dilution of 1/100 (40x lens). 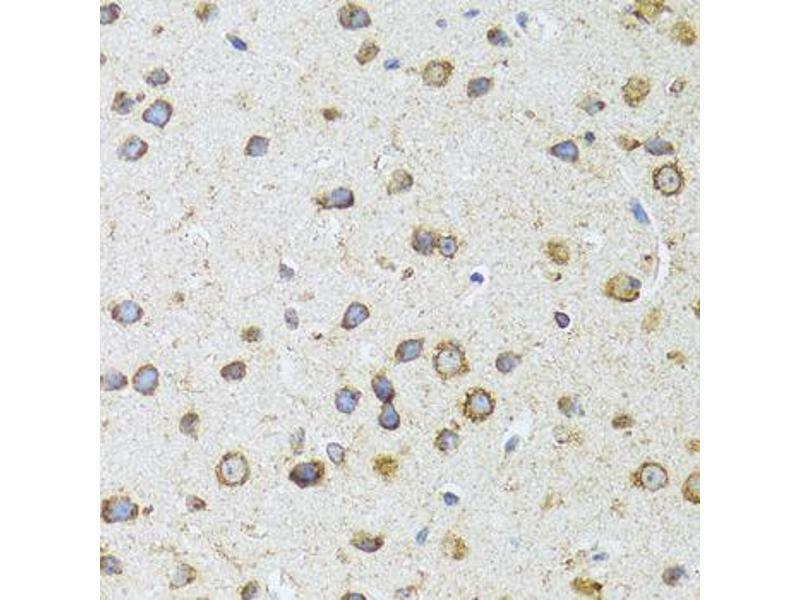 Immunohistochemistry of paraffin-embedded mouse brain using AIFM3 antibody (ABIN5996156) at dilution of 1/100 (40x lens). 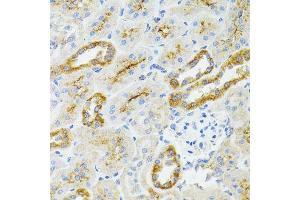 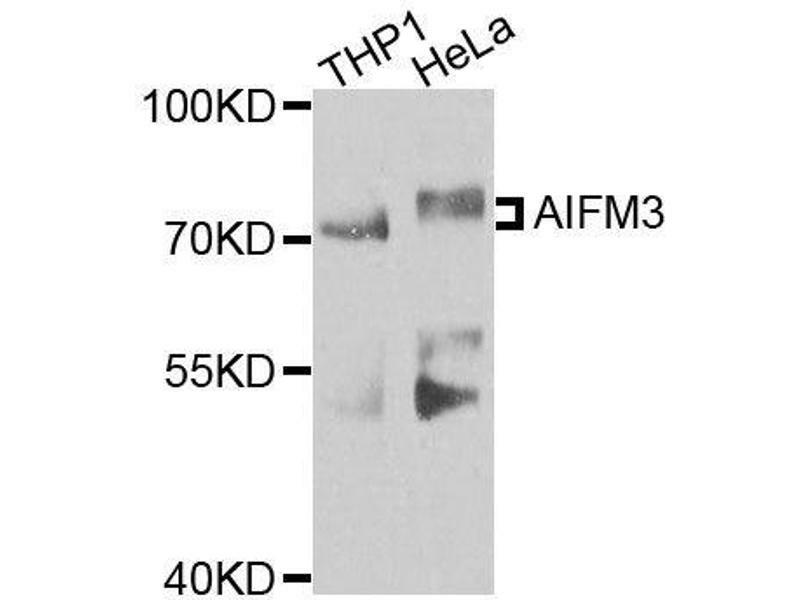 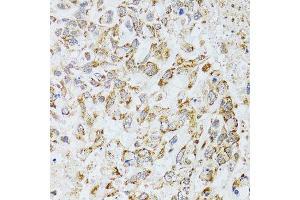 Immunogen The immunogen used to raise this antibody has a length of 605 amino acids.